Typically, having ordered some more books about He Who Shall Not be Named, the True Detective series broke. A collection of short stories and poems its a good book by Miskatonic River Press. Many of the authors are the usual suspects but some are new. Lots of good allusions to the source material. The annoying thing is that there is an over abundance of overtly Parisian and contemporary American material. This is something Ligotti et al avoid adeptly. Still a good read and as you can see I have strewn with post it note flags for shout out quotes. 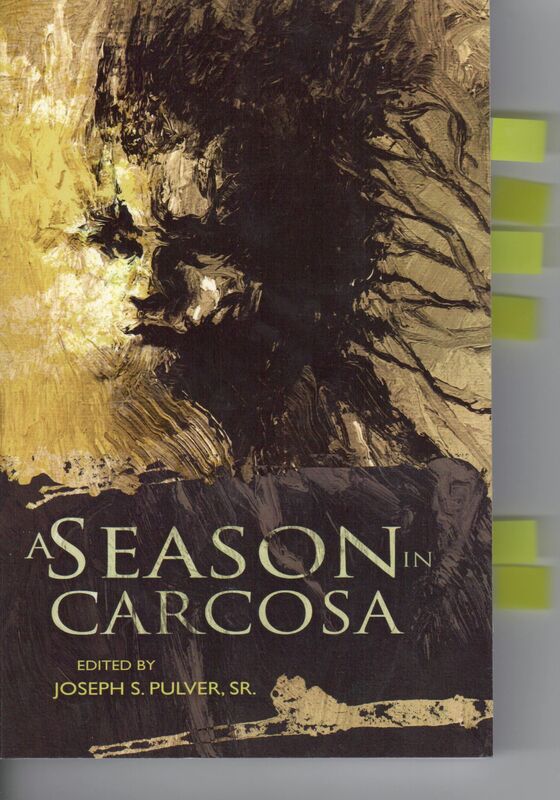 Not dreaming, but in Carcosa. 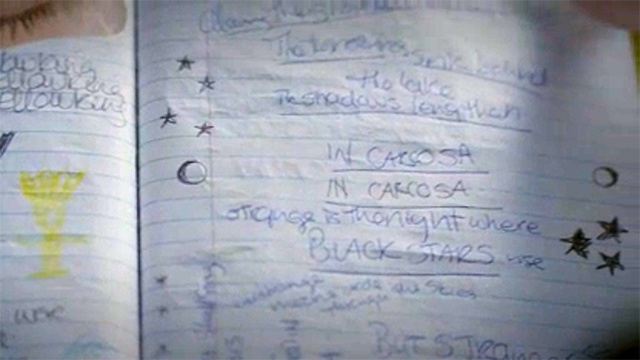 Not dead, but in Carcosa. Not in hell, but in Carcosa. The title, is a quote from one of the stories, read carefully, and don’t read the second act..
New book arrived, just published by McFarland. 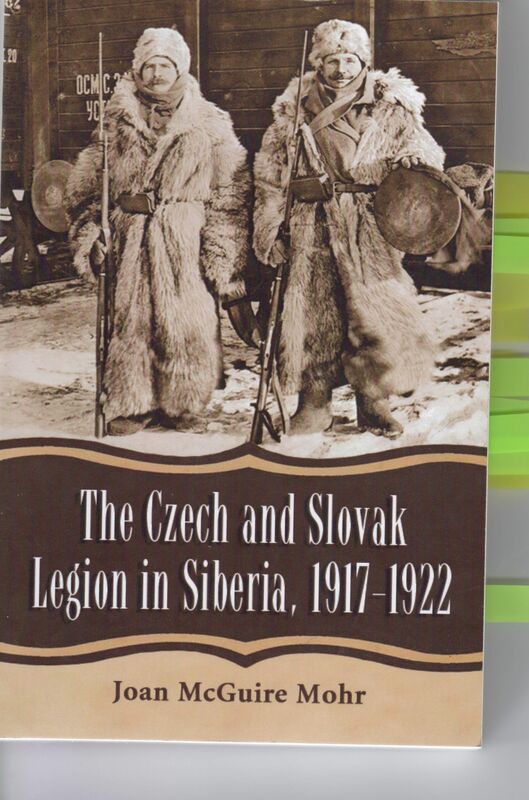 It covers the Czechoslovak Legion during the dying days of WW1 and more particularly WW1. The author has obviously used personal reminiscences of friends and family of the legion. The book is chunky and has lots of photos I have not seen before. 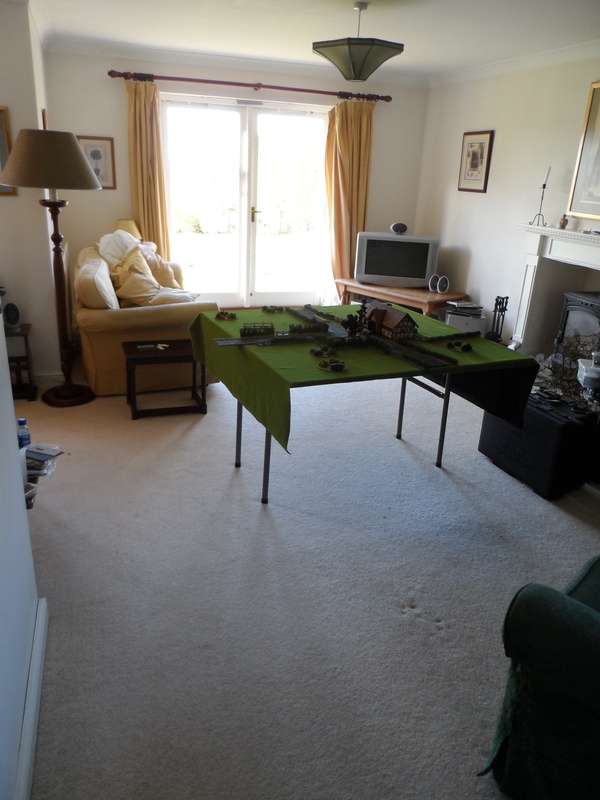 These are non-combat photos but nonetheless very handy when modelling/painting the legion and understanding its history. The development of the Legion during WW1 is detailed, and its subsequent involvement in the RCW is covered. There is nothing new in that narrative, but it is very useful to have the individual frustrations of Czechoslovaks detailed. It fleshes it out and adds more personal insight. The Legions role in the RCW is covered again offering no revelations but a host of detailed events and personal experiences. The growing gulf between the aspirations of the Allied intervention, the Whites and the Czechs is however much more detailed than I have read before. The prolonged agony of retreat is detailed well and tallies with all the other versions I have read/seen. The Legion certainly did not get treated well either by its Allied overseers (Gen.Janin) or its nominal comrades in arms the Whites. It held on to the end, defending Kolchak and the bullion, before evacuation. However Gen.Janin comes out as the unfortunate middleman, damned if he did, damned if he didn’t. Kolchak’s light wanes further with more witnesses commenting on his dissolute regime. The book covers not just the legion but the RCW in general. Sadly, I wish it had stuck just the legion. T The text also suffers from repetition of phrases such as various towns being repeatedly described as “…began to resemble Omsk…”. It also jumps around the timeline too much, so you do have to have a very thorough grounding in the RCW and in particular events in Siberia to keep a track of what is going on. There are many details of what the Legion did behind the lines (esp its organisation). There is a paucity of information as to its military activity, uniforms, equipment and front line engagements. This is more a social and political history. Overall, it is a valuable addition to an RCW library, however, it is really only for those with a thorough grounding in events in Siberia and not for wargamers interested solely in military Orbats. As you can see from my picture (scan) of the book, it has lots of great items of info that I have marked so I hope this doesn’t come across as a negative review. Rather this is a book for the serious RCW enthusiast. In today’s Torygraph, and the Grauniad I found articles on the new series hitting the TV – True Detective. 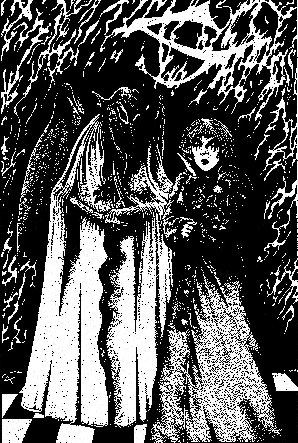 Finally R W Chambers’ work The King In Yellow is once more being referenced. A full deconstruction of the references so far has also been posted. For some unsettling bedtime reading here is the Project Gutenburg page. 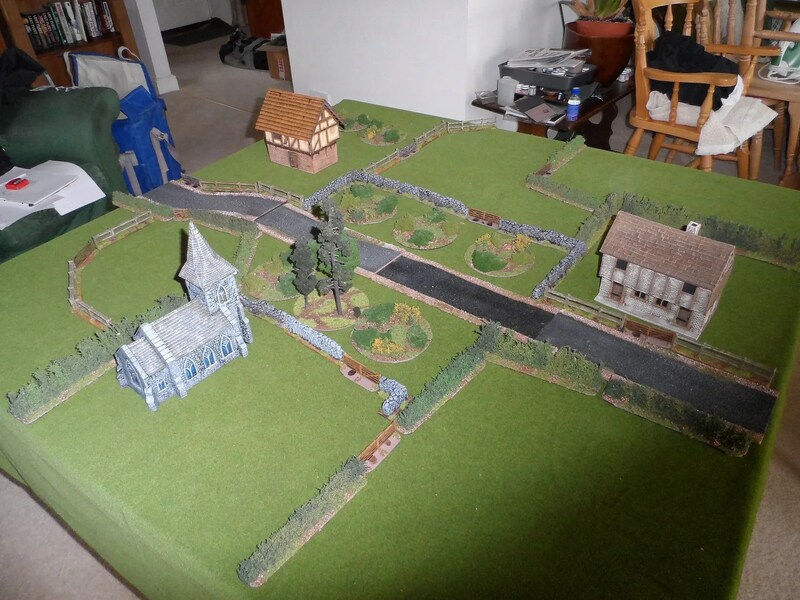 For the second skirmish game using Brink of Battle, we opted for more buildings. JP laid out a single central road, hence the name of the fictional hamlet of Longstreet. 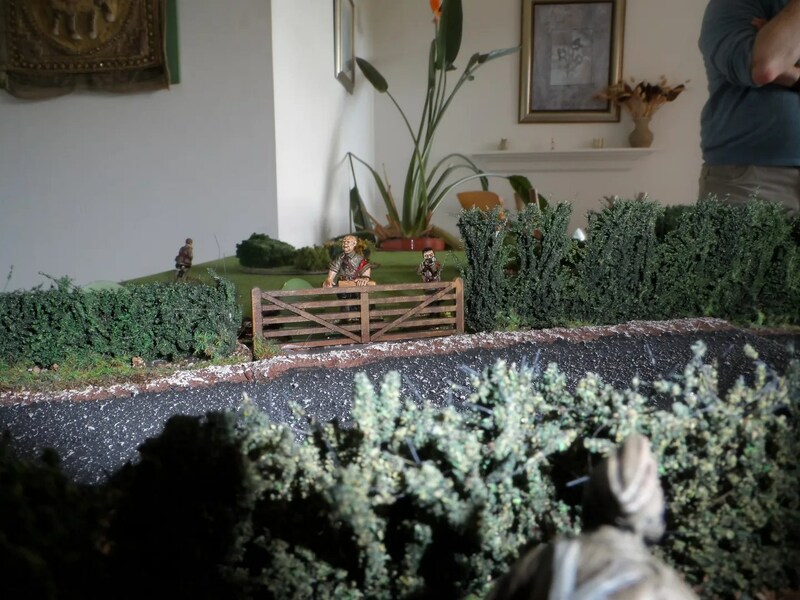 JP chose to deploy his Welsh militia – an elite force all tooled up with ‘traits’ such as Marksman, sharpshooter etc, so there was only 5 of them. Yours truely took the cut and paste approach and did the same 7 guys just in black. I set a couple of guys out across the left hand field. 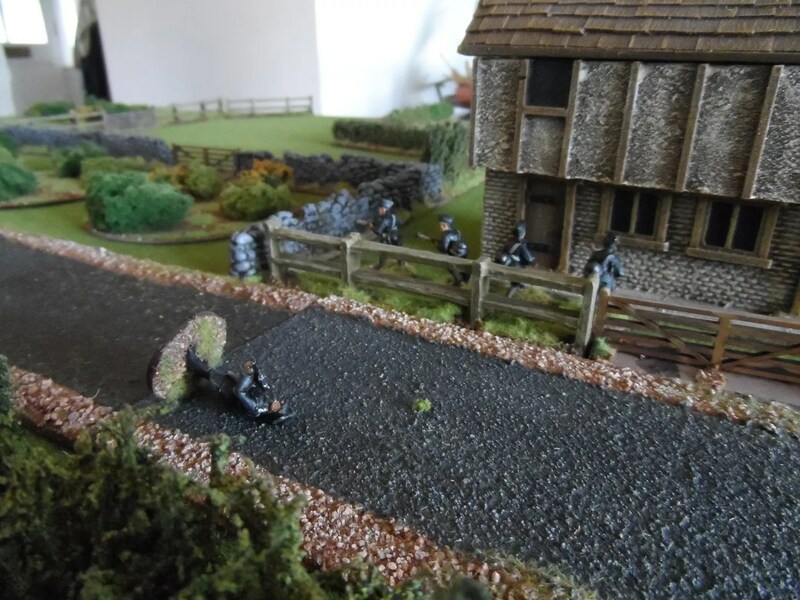 The other five lead by my commander went up the road – and the commander promptly got knocked down (luckily not dead) by one of the Welsh marksmen. 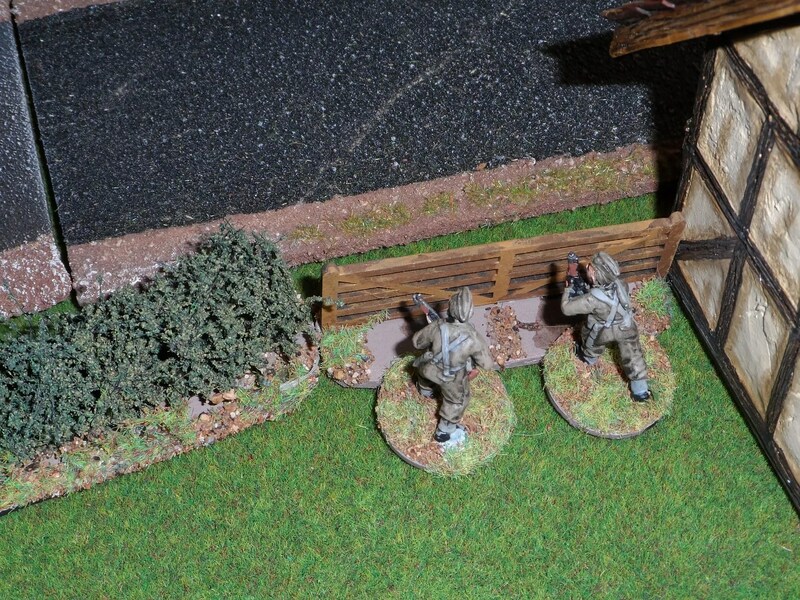 The rest of the troops made better use of ‘concealment’ and ‘cover’, which when we read the rules properly are two different factors. 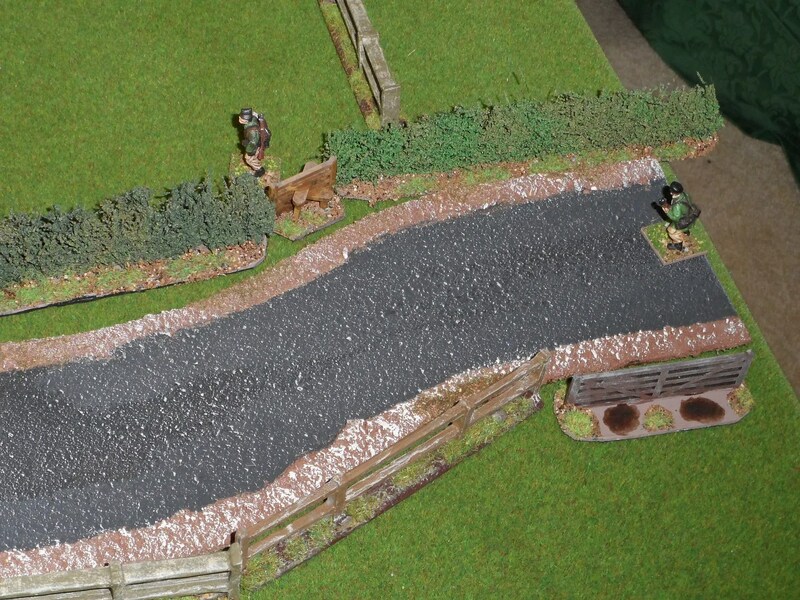 The Welsh militia and BUF then exchanged fire whilst inching forward down the centre of the table. JP tried a falnk attack, but we both learnt one key issue – the order in which you command your men. His guy out in the open had a very close shave, got behind the hedge before eventually being bumped off by me using the turn sequence tactically. 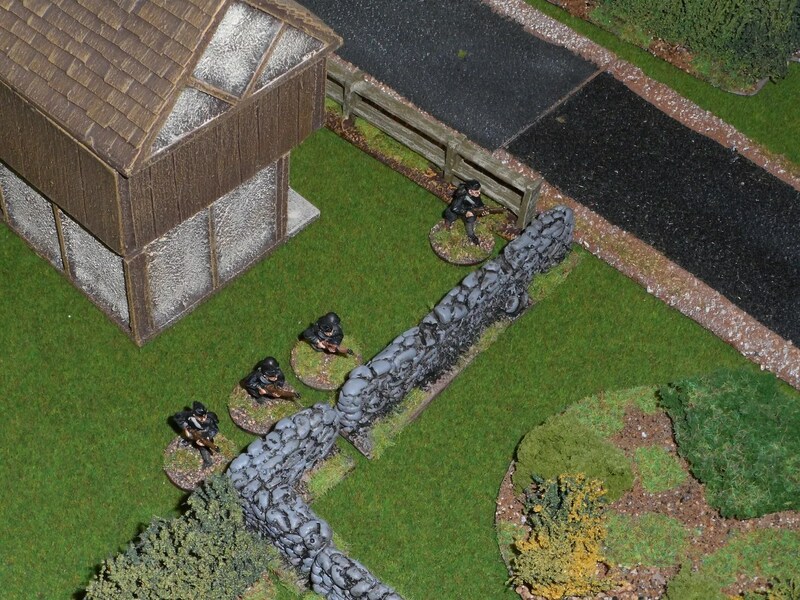 Ultimately my firing line behind the stone wall proved too much and the Welsh militia was driven off. God save the King & Mosley ! The BUF Three Counties League will have to retaliate against the separatist Welsh and bring them to heel ! Though we still have enough Action tokens to command all our troops in these small battles, the order in which you activate your troops is very important. Don’t stand out in the open !!!!!!!! Traits are really important and make a real difference. 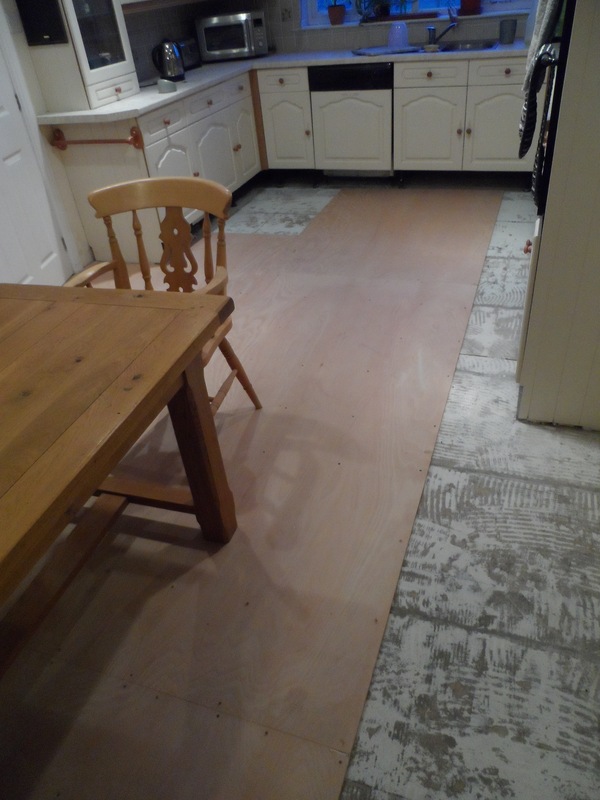 Looking back at an earlier posting, many of these points were noted before, but not rammed home until the rules are actively used in anger so to speak. They remain a fun set of rules for real low level skimishing. JP is considering a horde of ill equipped farmers to test things out further. Following on from our last game, Byakhee JP & I had another game using Brink of Battle. 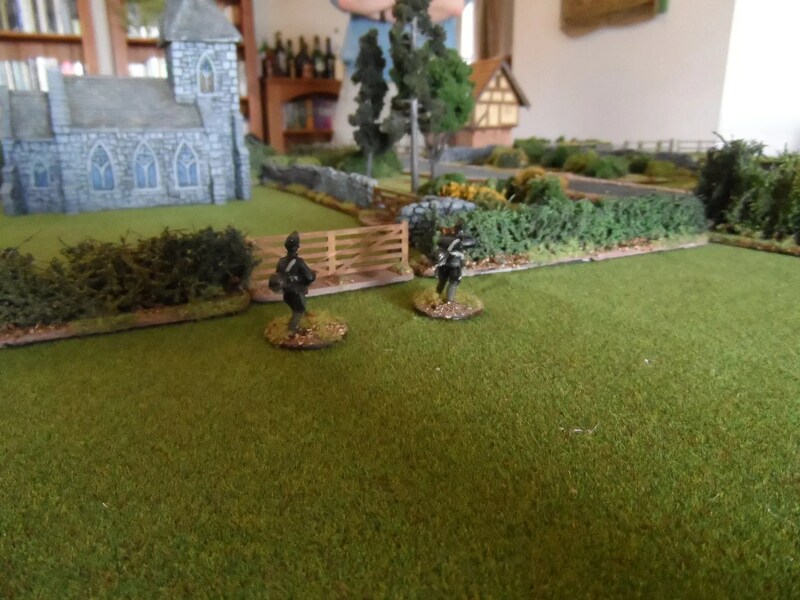 The BUF had been trapped defending a barn somewhere in Herefordshire, and ended up being captured by the Anglican League troops. 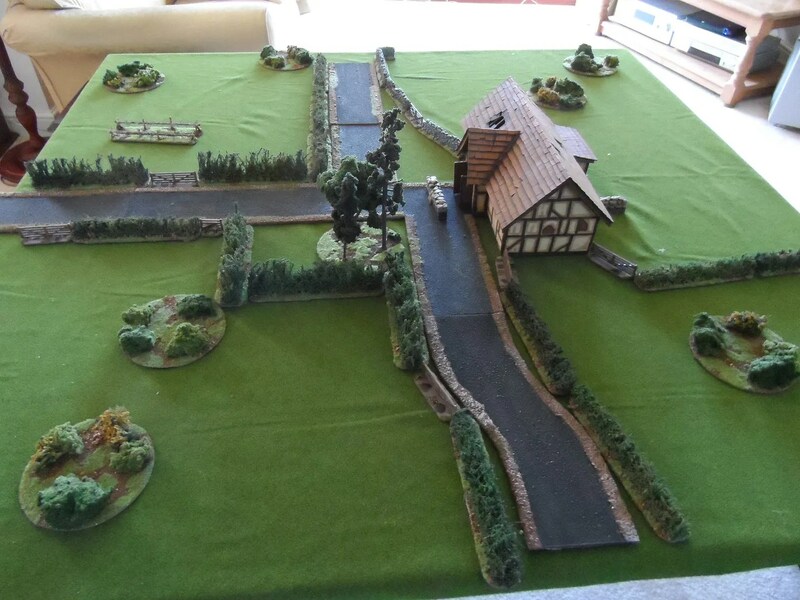 I recreated from memory the scenery, and deployed 500 points worth of troops to act as their captors, whilst JP deployed 500 points of Blackshorts to rescue their colleagues. 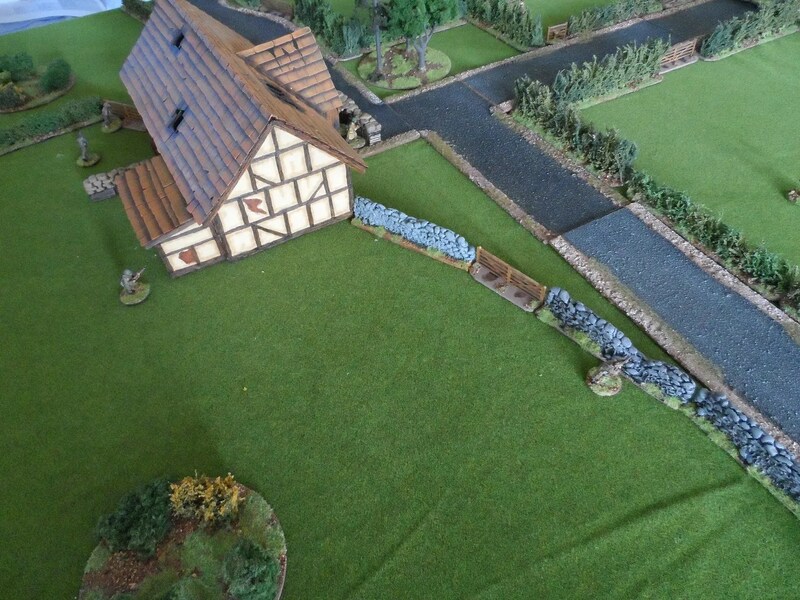 My awesome forces of 7 men deployed around the barn in the centre of the table. We decided that the squad of BUF prisoners in the barn would not provide any input into the game in terms of combat. The Blackshorts advanced/pranced across the fields, avoiding nettles, thistles and other weeds known to scupper their plans. 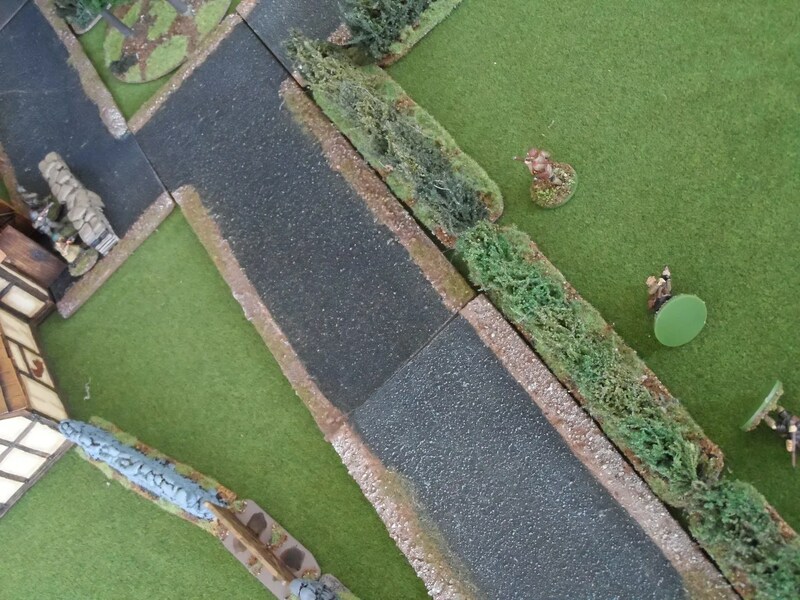 Though the Blackshorts drew first blood shooting one of my BRAVE Anglican League, my REWENGEE was swift as I downed two of his dodgy troopers in short order in an exchange of gun fire over the hedgeline. I moved a couple of troopers up on mt left to counter their advance. 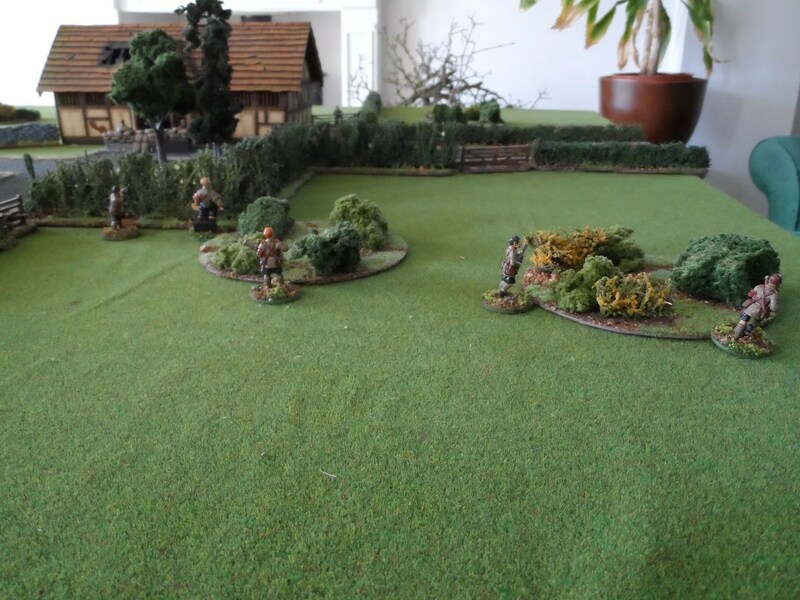 Which resulted in another exchange of fire – again I came off better shooting his bald pated leader and two other troops. By the end his final two troops fled. My trooper who shot his leader promptly got shot by another black short minion. The captured BUF squad in the barn were then subjected to a sermon outlining the errors of their ways and made to sing a hymn or two before being released back into the community. As we had so few troops we simply assigned action chits, in larger games with more troops you should do the IGOUGO option. 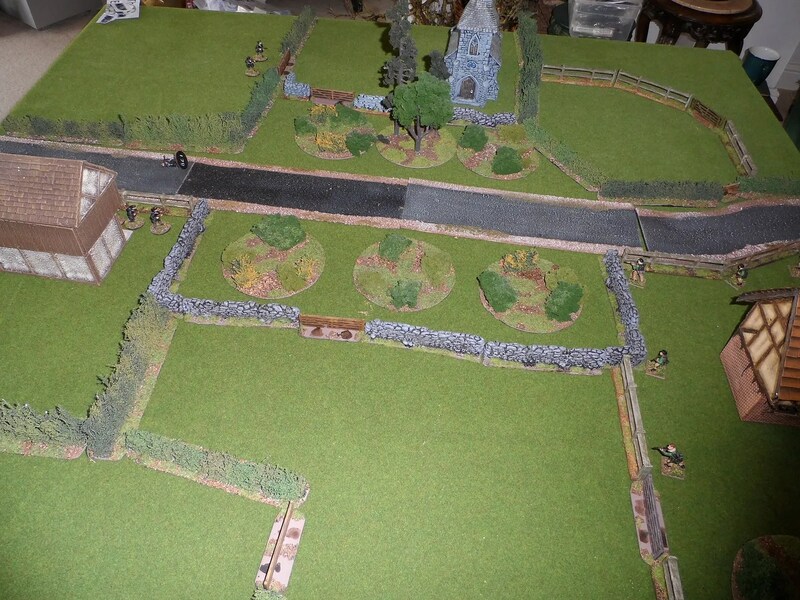 The hedges are substantial and apart from armoured vehicles impassable. We just about remembered the rules and they are very innovative skirmish rules. 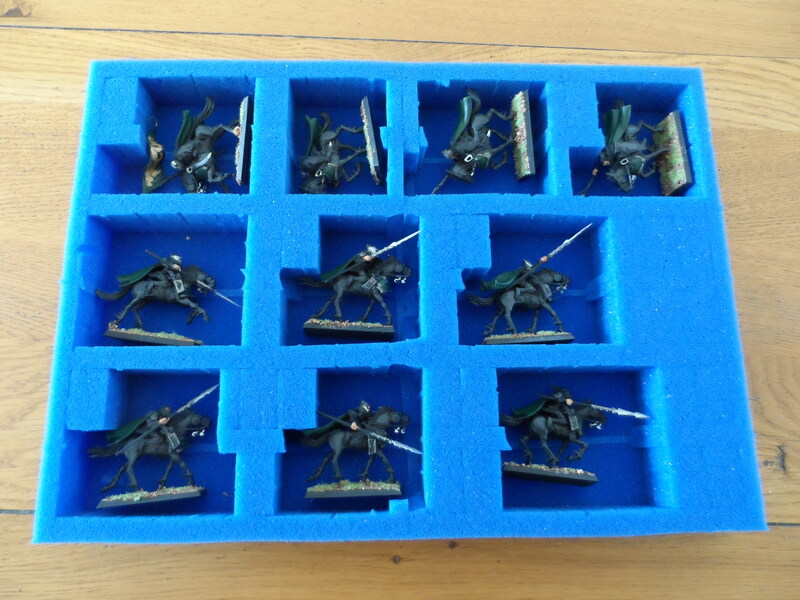 Having built and painted the new unit of plastic Dark Riders, I went to store them and found I had no suitable foam trays. Any gamer worth their salt wants to store their lovingly painted figures properly to avoid damage and chipping the paint jobs. With the move to plastics and more realistic proportions (read thinner) of spears and lances the chances of the plastic snapping increases. So I went off and ordered some more foam trays from KR Multicases, who do foam trays that fit GW carry cases (see below). This is a 30mm deep pick and pluck tray, so I can pretty much tear chuncks out of the foam to fit each model individually. 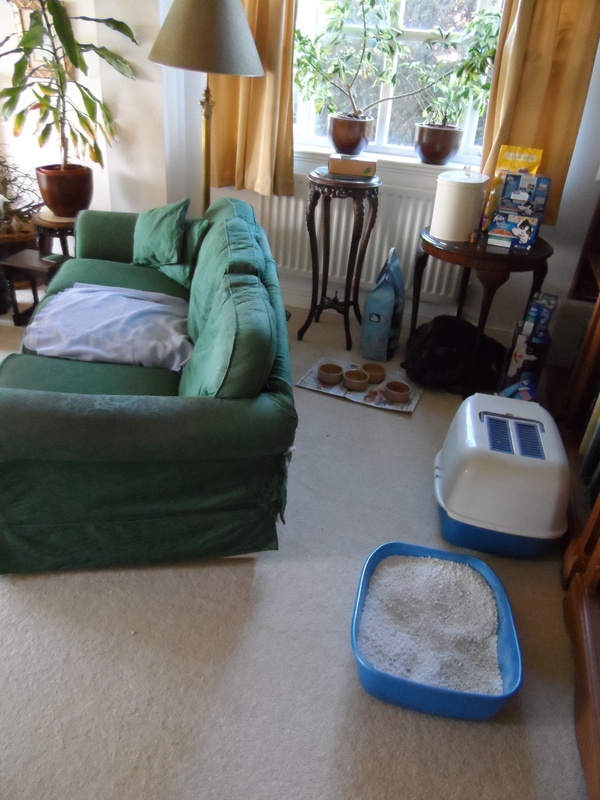 Just a few simple cuits with the scissors and the figure sits in snugly, so less chance its going to get damaged. The whole unit of 10 riders in a single tray. 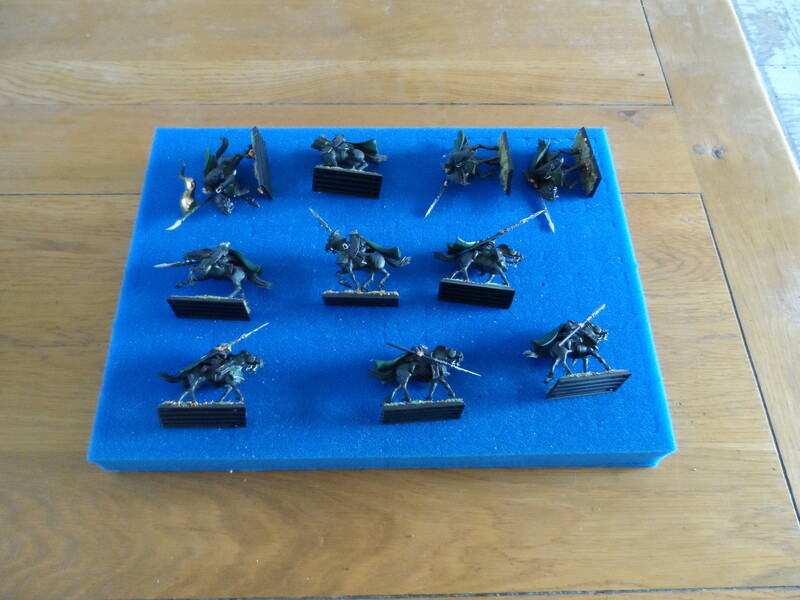 I’ll be doing the same with the Doomfire Worlocks that I finished off last week – I bought 3 of these trays. 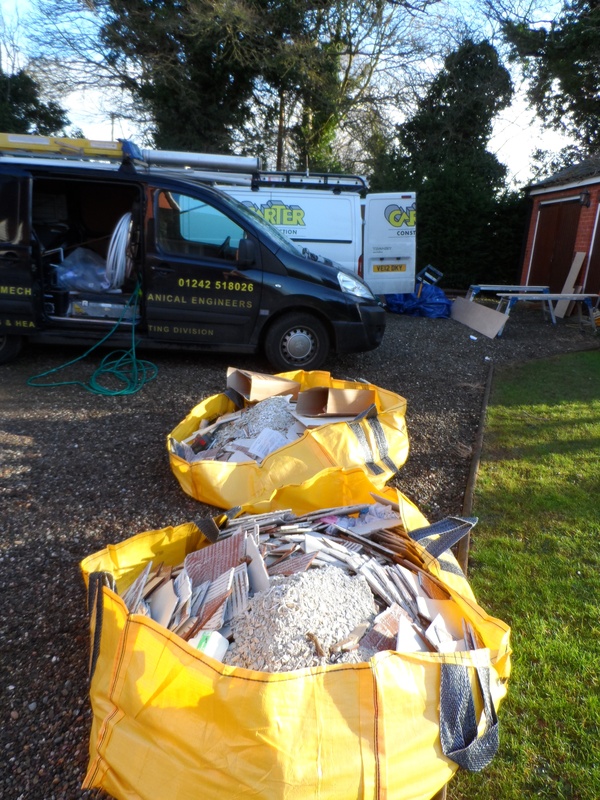 The downside (environmentally) is the pile of left over foam. Luckily, one of the Byakhees uses it to line his nest, sorry, his armies’ trays. This may be a future posting from him. 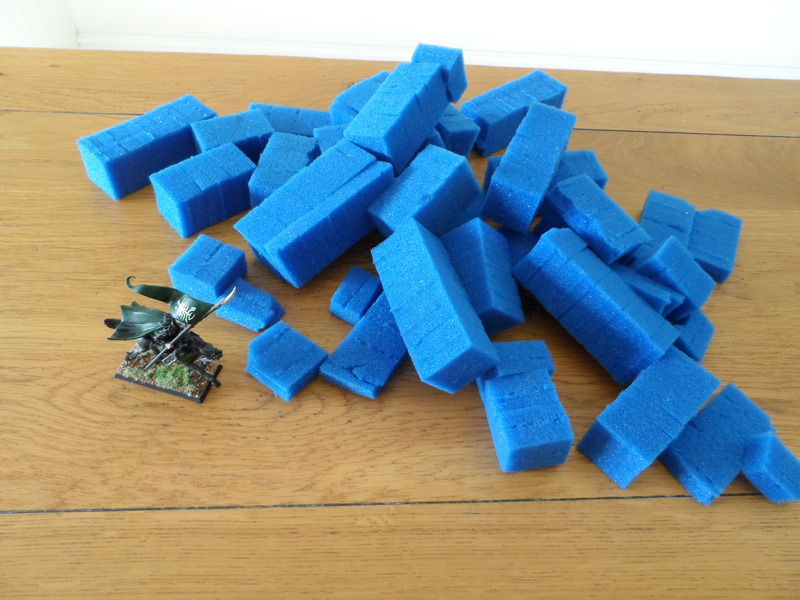 I only buy the foam trays from KR, I do have a couple of their card carry cases for the Laserburn stuff (helps differentiate it).This is not because its not robust, its just I have invested (“sunk capital” as accountants refer to it) into the GW plastic cases. However I am now swapping trays of figures in and out of these cases, on the few times I play at other locations. 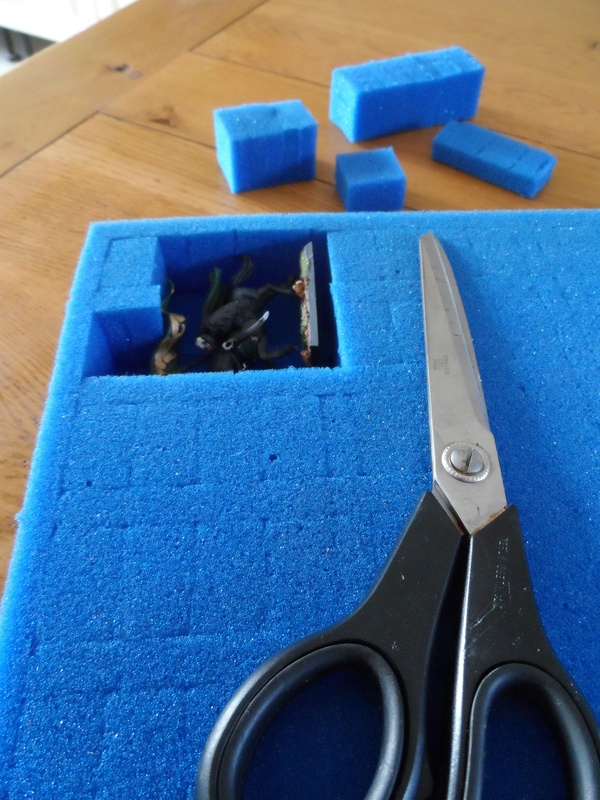 The other good point of KR Cases, are that they do foam trays of varying depth, so as I have been building the larger kits for my DE army I have been able to find the right depth of each foam tray to accommodate the models This is something GW don’t offer.